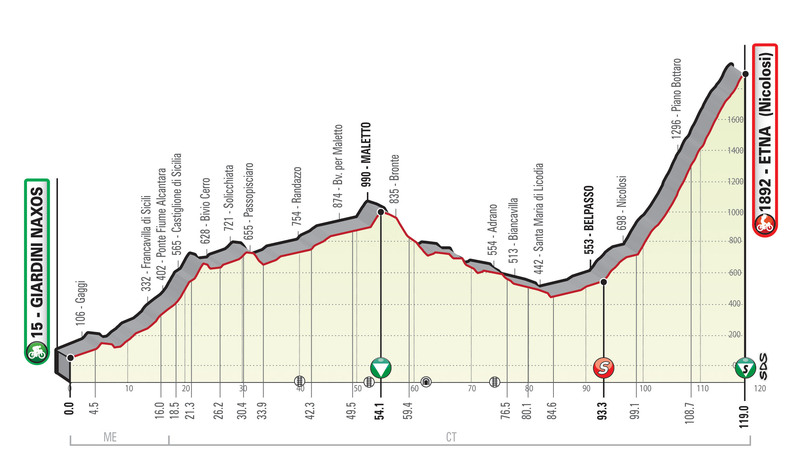 The only difference is, that the Adriatica Ionica was moved from June to July, and both this race, as well as the Settimana Internazionale Coppi e Bartali, will be one day longer than in the past. Cycling Stars Criterium? That a new thing? I had wondered where the Adriatica Ionica Race was going to fit as the slot it had last year didn't exist with the tour returning to it's usual slot. Probably about as important and 'serious' as all those post-Tour crits, only that it's post-Giro. For Riwal Readynez it will be the first race as as a PCT team, by the way. Live coverage starts in ~4hrs on the PMG website etc. There is unlikely to be a Giro wildcard for the winner of the Ciclismo Cup this year. Not 100% confirmed as RCS are waiting on the UCI to formalize the 2020 auto-wildcard regulations. The full Laigueglia coverage (80 mins) from earlier today. 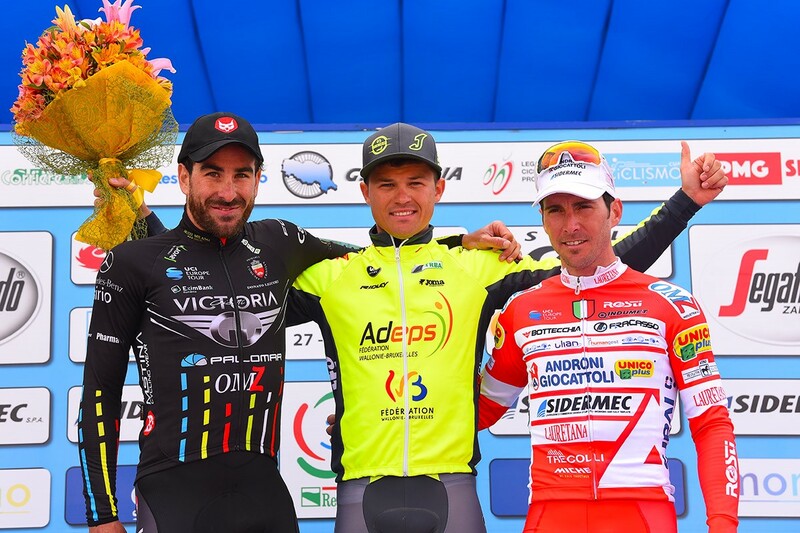 The 42nd edition of the GP Larciano was presented on Saturday. It still goes by the same pattern as usual, with 4 laps on a flat circuit first, and then 4 more on a hilly one. Last year a group of 5 established on the climb and Matej Mohoric took the win with a an attack on the descent. The other 4 were caught again and it came back to a ~25 men sprint for 3rd, so also a sprinter with good climbing skills stands a small chance to win the race - although it doesn't usually happen. I only watched the final 15k or so, which saw Maximilian Schachmann and Mattia Cattaneo breaking clear from an unusually large group, and keeping a small margin over the descent down to the finish. Next up is Coppi e Bartali in 2 1/2 weeks time. The Settimana Internazionale Coppi e Bartali was presented today, "combining tradition with innovations". The parcours seems to be more on the traditional side, starting with a sprint stage as well as a split-team TTT on day one again (after a one year off using a normal TTT), before heading over to more hilly terrain, surrounding a sprint stage "flat as a billard table". 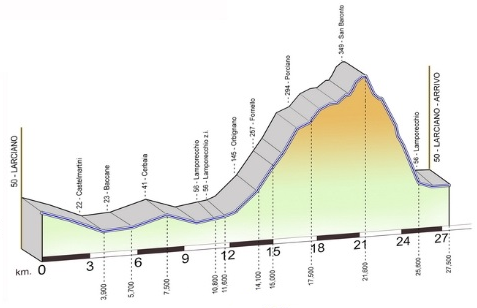 The race is one day longer than usual though, so instead of two days of climbing we'll have three of them. That's not the only innovation though: for the first time (as far I can remember), apart from the usual evening highlights on Rai, there'll also be live coverage of the race on PMGSport, Flobikes and Eurosport Player. 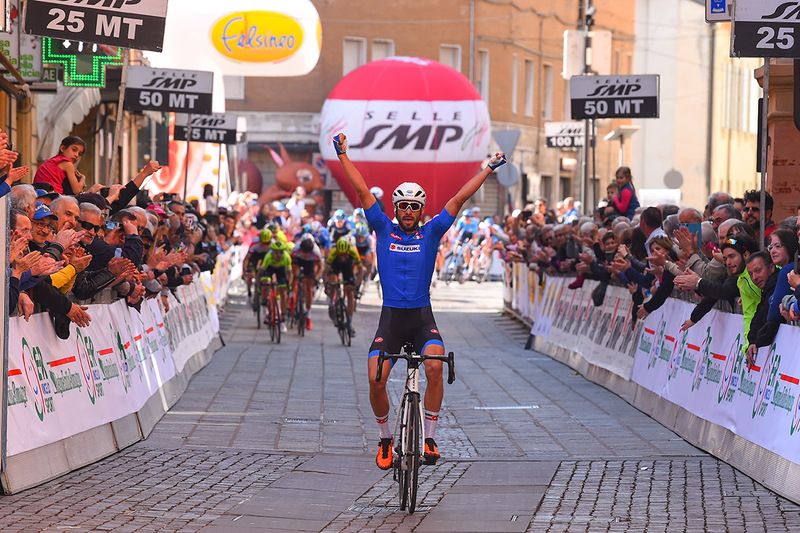 "Following a philosophy that protects Italian cycling" the organizers "have paid particular attention to the Italian Continental teams, which, in cycling of today, unfortunately have only few opportunities to compete in high-level events." ...and not my only one . The TTT will be a normal one, with full teams. The TTT in the afternoon was won by Mitchelton Scott. Robert Stannard now holds the lead, but the terzet of Rosa, de la Cruz and Elissonde sits just 10 seconds behind. Do they really say "questo colosso" though when Kevyn Ista hits the front (at ~31:30)?! One thing I have learned: Rai are now encrypting all their cycling coverage, not just the Giro. So no more comfy sit downs in front of the tv for me. I hope my light-hearted last line hasn't effected results showing up here. I know it's been very busy race wise, so I hope it's just that. 50 minutes worth of stage 2. Celano abandoned on day two unfortunately, but this left room for some others to go for glory. Changes in GC were minimal over the past days, which means the Australian Mitchelton-Scott trio Lucas Hamilton, Damien Howson and Nick Schultz leads the race, with Hamilton having a 16s gap on the other two. Mikel Landa at 6- and David de la Cruz a further 10 seconds behind are the closest challengers heading into the final stage today. 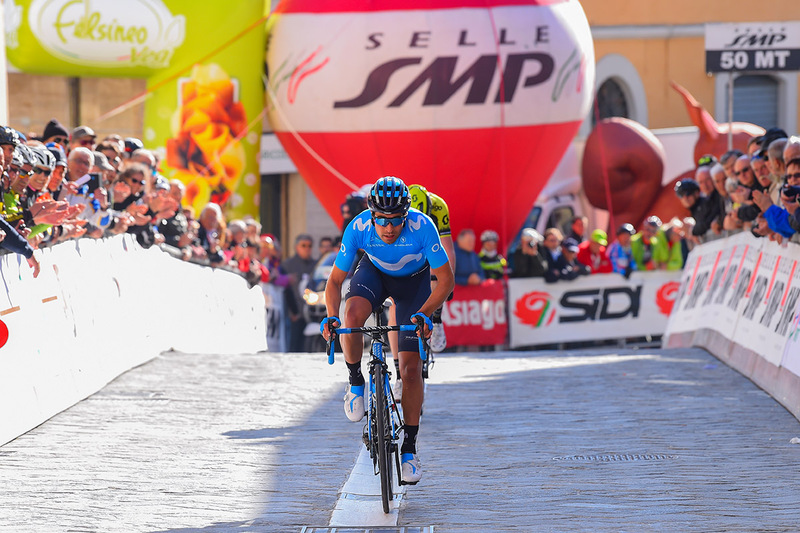 Professional cycling returns to its roots, with the four-stage race from 3 to 6 April, starting from Catania and finishing in Milazzo, Palermo, Ragusa and, on the final stage, the ascent to the top of Mount Etna, climbed from the classic Nicolosi side. 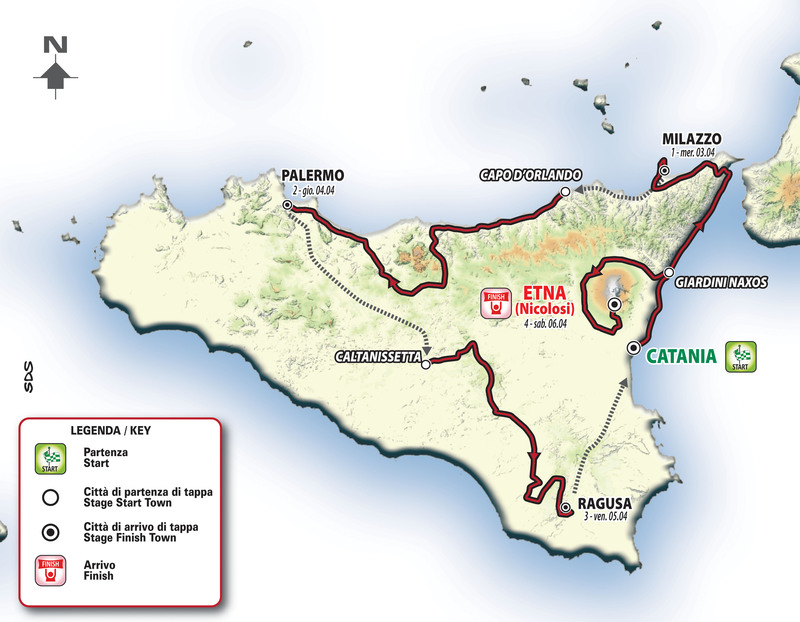 The other Stage Start locations will be Capo d’Orlando, Caltanissetta and Giardini Naxos. 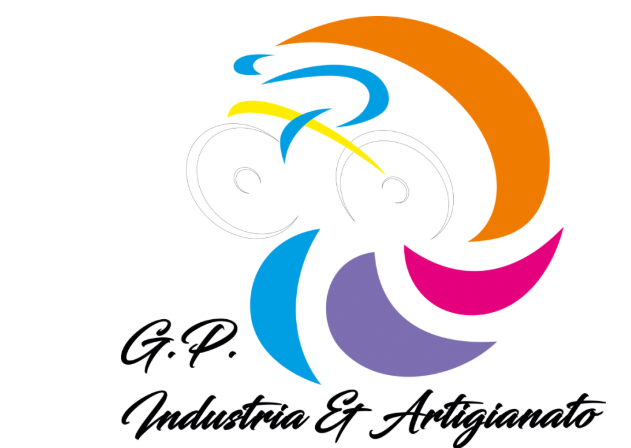 After 42 years since its last edition, Il Giro di Sicilia returns in style: a stage race on the island at the heart of great cycling. Il Giro di Sicilia is one of the oldest Italian stage races: the first edition was raced in 1907, two years before the birth of the Giro d’Italia. From 1907 to 1977 Il Giro di Sicilia was held 18 times, all stage races, and these editions were all won by Italian riders. The first winner was Carlo Galetti, who went on to win the Giro d’Italia twice: in 1910 and 1911 (and in 1912 as part of Team Atala, the first and only time the Giro was awarded to a team). The last winner was a 19-year-old Giuseppe Saronni in 1977, who also went on to win the Giro d’Italia overall twice: in 1979 and 1983. 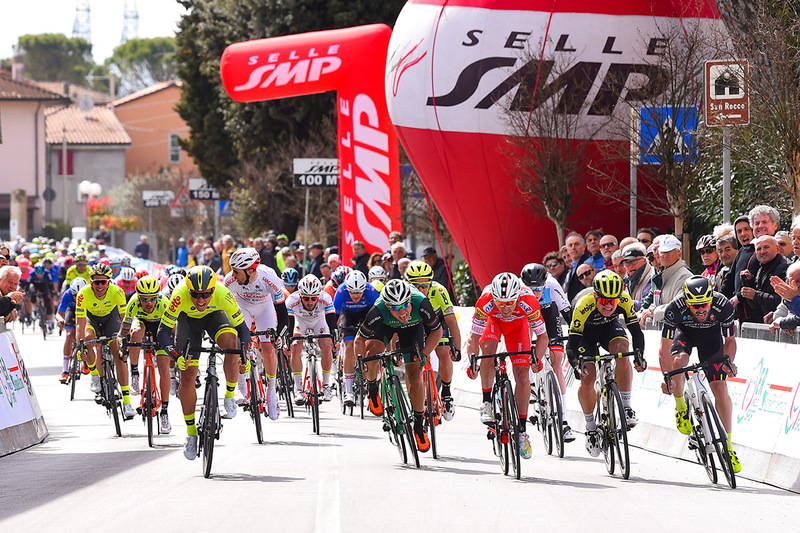 All the main Italian Professional Continental and Continental teams will participate in Sicily, as well as UAE Team Emirates, the most "Italian" among the WorldTeams, along with a large group of teams featuring young and interesting riders as well as experienced veterans. In addition to the 7 Italian teams, there are also 11 foreign teams. 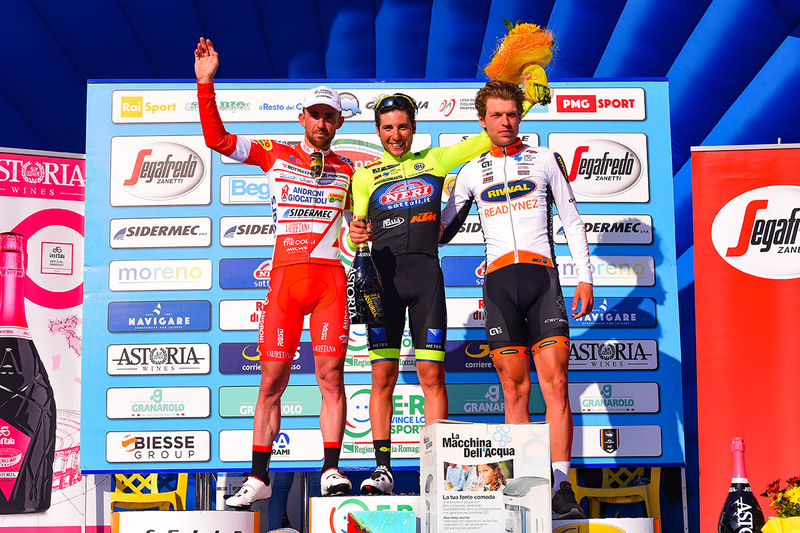 This could be a good stage for Finetto again, to take a win in his team colors this time. 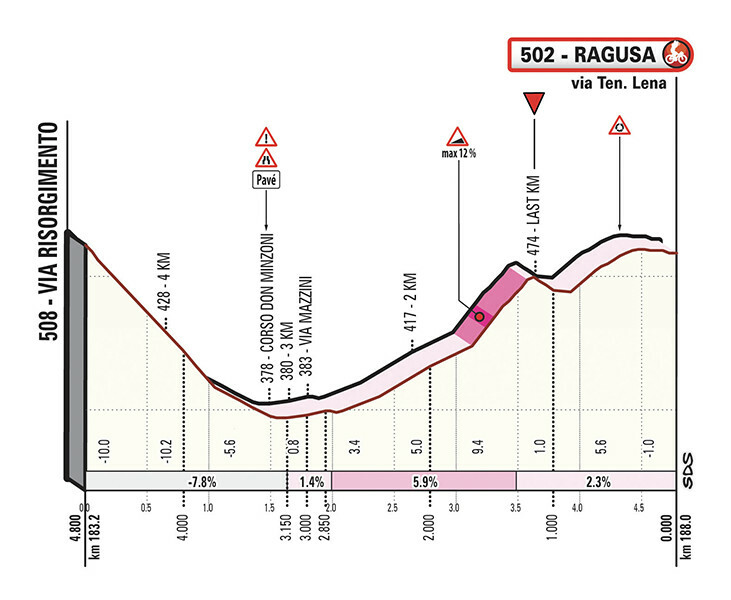 While in the flat sprints, Molano, Pacioni, Stacchiotti, Pasqualon, Sbaragli & Minali and Belletti are probably some of the guys to watch out for. On paper, Guillaume Martin looks like the strongest climber in the race, I'd say. But UAE bringt Jan Polanc, who won the Etna stage in the 2017 Giro d'Italia. 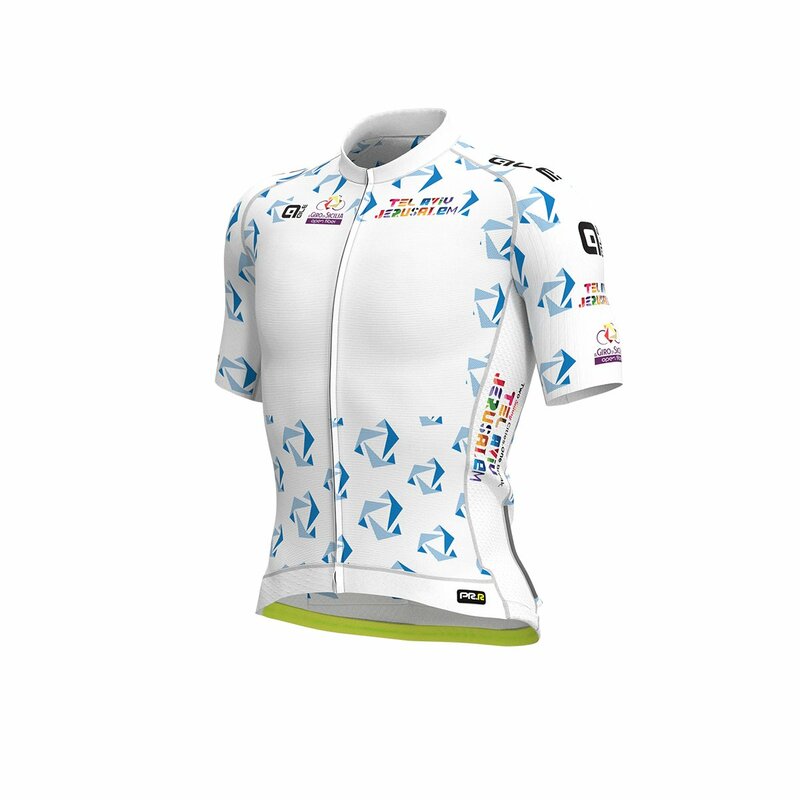 Osorio can be like Joel " Got this one in the bag"
Maglia Bianca, for the youth classification, sponsored by the Israeli tourism agency, hence the blue on white. 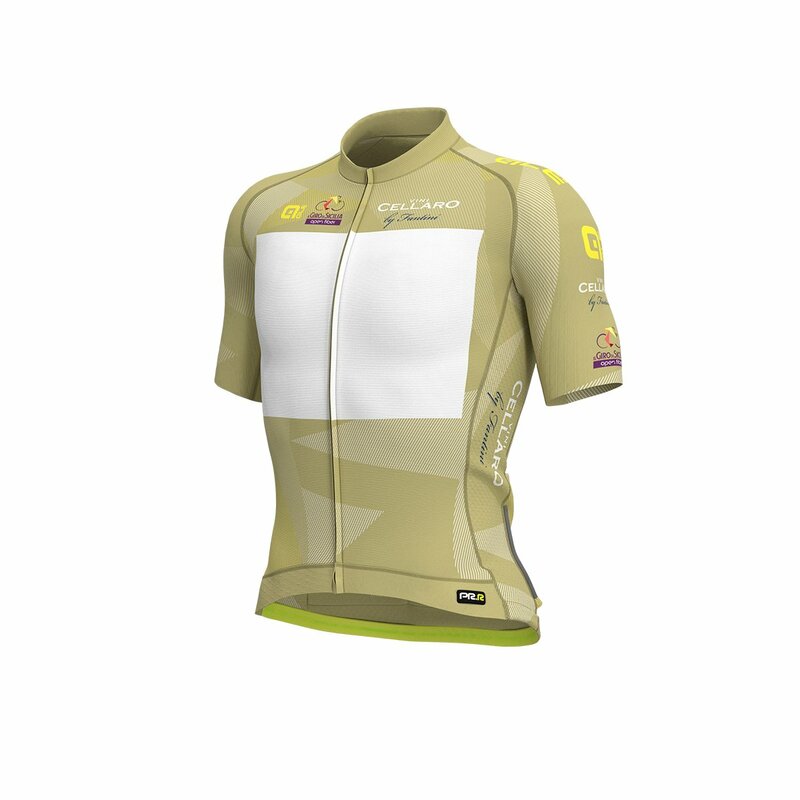 Maglia Verde Pistacchio, for the mountains classification, inspired by the color of pistachio nuts. Sicily is the only region in Italy that grows pistachios. 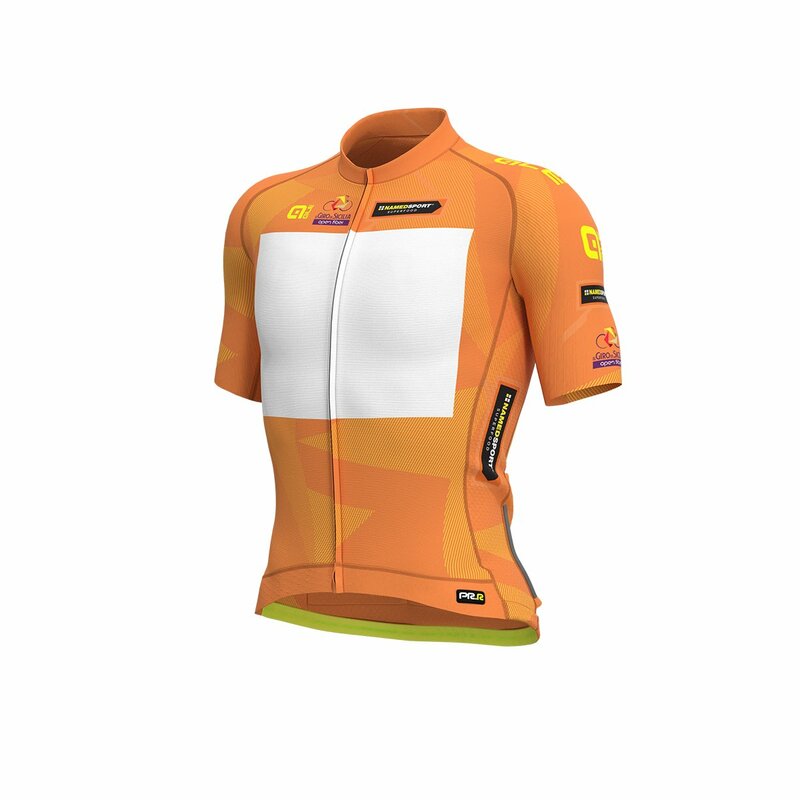 Maglia Arancione, for the points classification, inspired by Sicily's famous oranges. 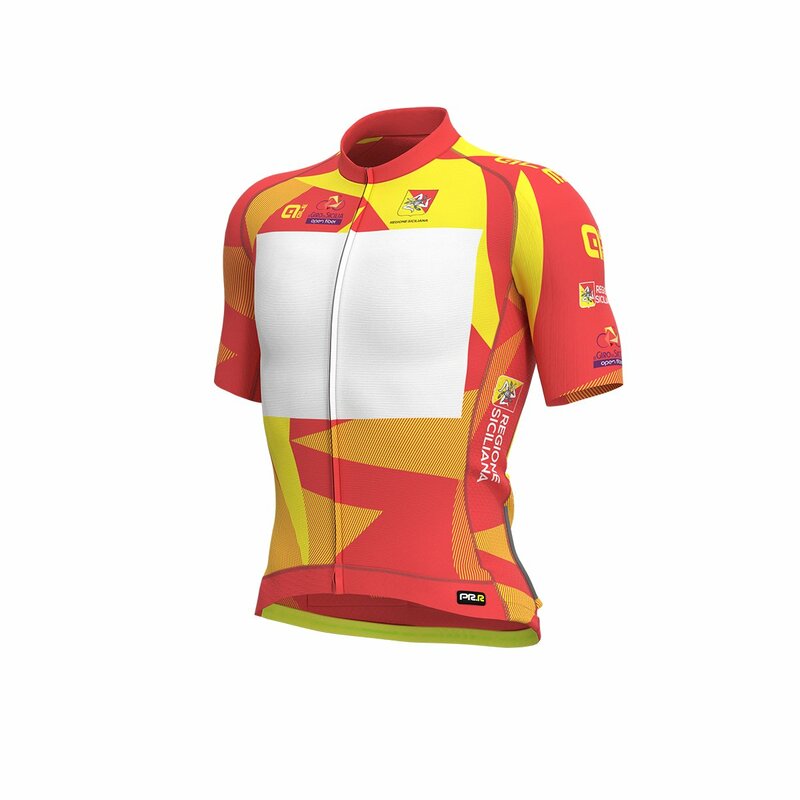 Maglia Rosso e Gialla, for the overall classification, inspired by the colors of Sicily's flag. The flag is characterized by the presence of the triskelion (trinacria) in its middle, the (winged) head of Medusa (Gorgon) and three wheat ears. The three bent legs allegedly represent the three points of the triangular shape of the island of Sicily, or the historical three valli of the island. The present design became the official public flag of the Autonomous Region of Sicily on 4 January 2000, after the passing of an apposite law which advocates its use on public buildings, schools, city halls, and all the other places in which Sicily is represented. The flag is bisected diagonally into regions colored red and yellow, red representing the municipality of Palermo, yellow representing Corleone, which in medieval times was an agricultural city. Palermo and Corleone were the first two cities to found a confederation against the Angevin rule. Today, the triskelion (or trisceli) is also widely considered the actual symbol of Sicily. The symbol is also known as the trinacria, which is also an ancient name of Sicily. The name was also revived and used during the Aragonese period of the Kingdom of Sicily immediately after the Sicilian Vespers (1282) which ended Angevin rule. 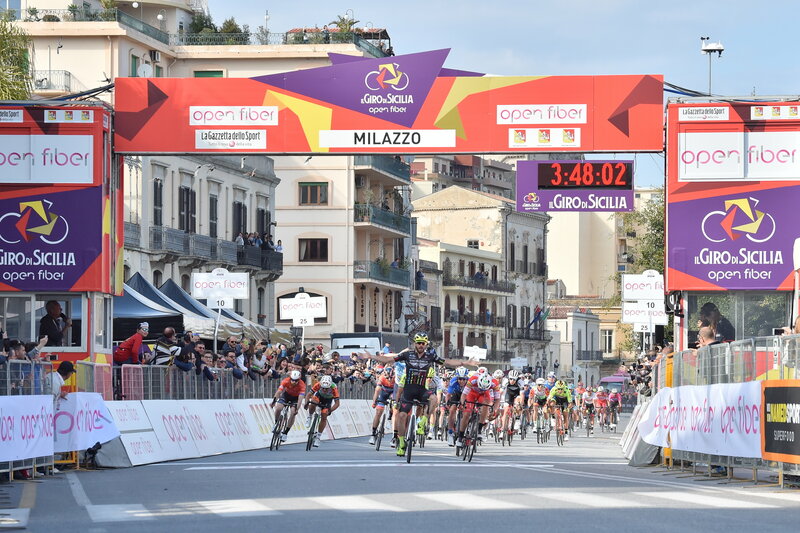 Il Giro di Sicilia Open Fiber returns to the international cycling arena in style. Images of the race (produced live for two hours every day) will be broadcast all over the world. In Italy, the race will have two hours broadcast live on Rai Sport +HD. In France the broadcaster will be La Chaine L’Équipe, while Eurosport will cover the race internationally across 53 European countries, in Australia and in 10 South-East Asia territories. In the Far East, Japanese fans can follow the race live on DAZN; in New Zealand, the race will be broadcast by Sky Sports. 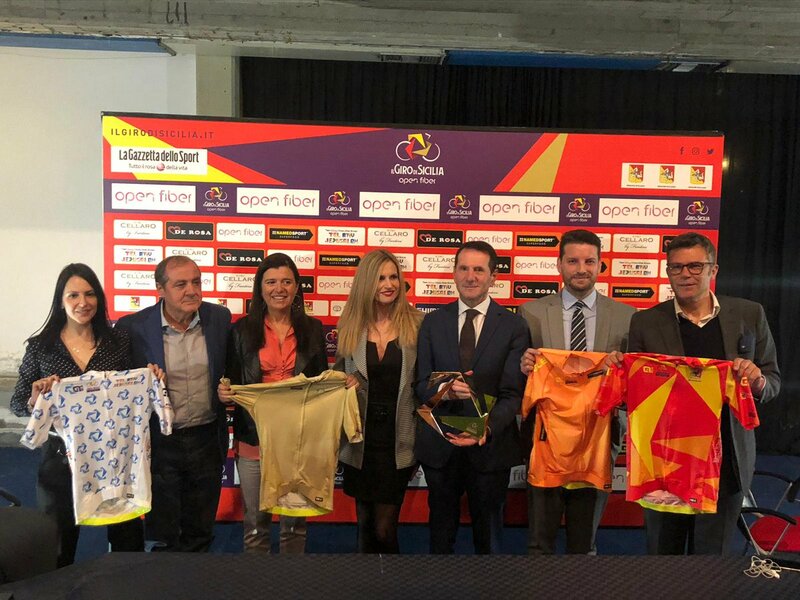 In the Americas, Il Giro di Sicilia Open Fiber will be broadcast live on the Fubo.TV and FloSports platforms (in the US and Canada), and on TDN in Mexico and Central America. In all the remaining territories the race will be available in live streaming on the Olympic Channel platforms. Footage of the race will also be distributed around the world through SNTV. So it may only be only available from the countries without broadcasting rights though. We'll see tomorrow, I guess. Also the final startlist is available now - without Moreno Moser, who was previously announced to lead Nippo. Also Andreas Pasqualon is one of the bigger names taken off the list. Which basically means that countries without broadcasting rights will have better (live) coverage than countries with broadcasting rights. Only 1 stage live in the UK, 2 in other Eurosport countries. In both cases, no live coverage of the Etna stage. yeah, to be fair, as a late addition it was probably difficult to fit in. And most of the time there are good streams available for l'Équipe at least. Nothing too spectatcular happened anyway though. The expected bunch sprint was never in doubt, and after the UAE train departed way too early, Sebastian Molano ran out of steam in the final meters and was passed by an armada of Italian (P)CT sprinters. 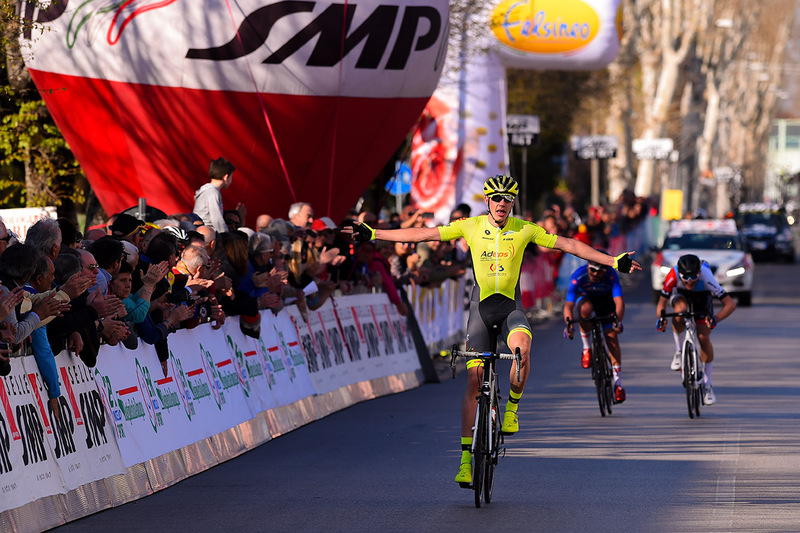 After coming 2nd in the opening stage of Coppi e Bartali last week, this time Riccardo Stacchiotti did one better and took the first win of the season for his Romanian-Italian Giotti Victoria team.